It’s March, which means college basketball has reached its most watched and most important time of the season, March Madness. Before the field of 68 is selected this Sunday, conferences hold their own tournaments to decide a champion. 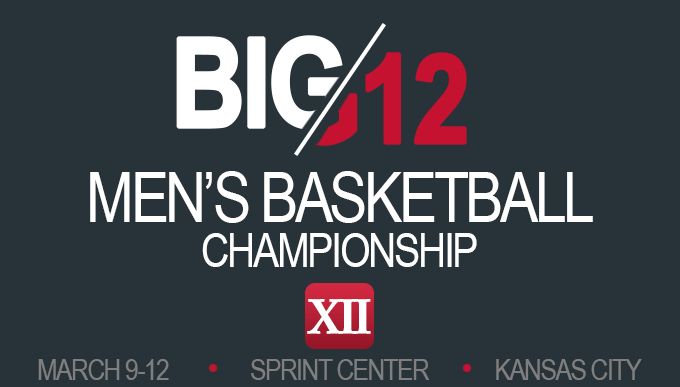 The Big 12 Conference Championship, which has become one of the biggest events in Kansas City, kicks of on Wednesday. Located at the Sprint Center arena in downtown KC and connecting into the Power & Light District right across the street where fans from all over the Big 12 come to watch the games on the big screen and party, the setting for the conference tournament has become known as one of, if not the best in all of college basketball. This year, the conference has been as competitive as any year previous to it, which means the championship can be won by a number of nationally ranked programs. Leading the way is No. 1 ranked Kansas, which won the regular season by two games, a feat gaining plenty of recognition because of the power behind the Big 12’s teams. No. 6 Oklahoma, No. 9 West Virginia, No. 21 Iowa State, No. 22 Baylor, and No. 23 Texas, all have teams capable of winning the conference tournament. Wednesday’s games include match-ups between Kansas State and Oklahoma State–the winner taking on top-seeded Kansas on Thursday–followed by Texas Tech taking on TCU, with the winner playing the second seeded West Virginia. For Kansas, a win would put them into Friday’s semifinal against either Baylor or Texas, two teams which have given KU problems, although the Jayhawks are coming off road wins against both teams, and in the case of Texas, a game in which Kansas demolished the Longhorns by 30 points. Luckily for the Jayhawks, the three teams which likely pose the biggest threat–West Virginia, Oklahoma, and Iowa State–wouldn’t be an opponent until the championship game on Saturday. Should the Jayhawks make it to at least the championship game, regardless of a win or loss, they would likely lock up the overall No. 1 seed in the NCAA tournament. Either way, any one of the No. 1 seeds is more than likely secured for Bill Self and his team. With plenty of games to be played this week at the Sprint Center, basketball will be the talk of the town. Tickets are available for all sessions at Tickets For Less. With zero hidden service fees and variety of seating options, what you see is what you get on all purchases and you’ll be able to choose from the best seats in the building. Tickets For Less is your source for a chance to see the very best of the Big 12 conference battle it out for a championship.